Winner has been selected. The winner of this giveaway was Sohil R. Memom. But you are welcome to sign up on ThesisLove.com. My very good friend and a fellow blogger, Raaj Trambadia has come up with an awesome site for thesis lovers – ThesisLove.com. In this site Raaj has the collection of Thesis 2 skins (of course, the collection will be increasing constantly) and Thesis 2 boxes. Right now, there is one skin in the site and lot of Thesis 2 boxes. Free updates till membership lasts. Get this $59.99 membership for FREE! Yes, Raaj was kind enough to give away one premium membership worth $59.99 on OddBlogger.com. The giveaway will be same as previous giveaways on OddBlogger. Just complete the entries in following PunchTab giveaway widget and increase your chances of winning this premium membership. This is an awesome giveaway Abhi! If and when I ever decide to switch to 2.0 I’ll have to join up for a membership! Awesome giveaway, I have no words, so I can’t say anything. Simply fantastic! Thanks for it Abhi Balani. I wish you good luck for that buddy. Nice Giveaway! Would love to win it for sure. Great give away! I will try my best! Thanks Ramesh. All the best. Great give away dude. I am using Thesis 1.8 as my blog theme. 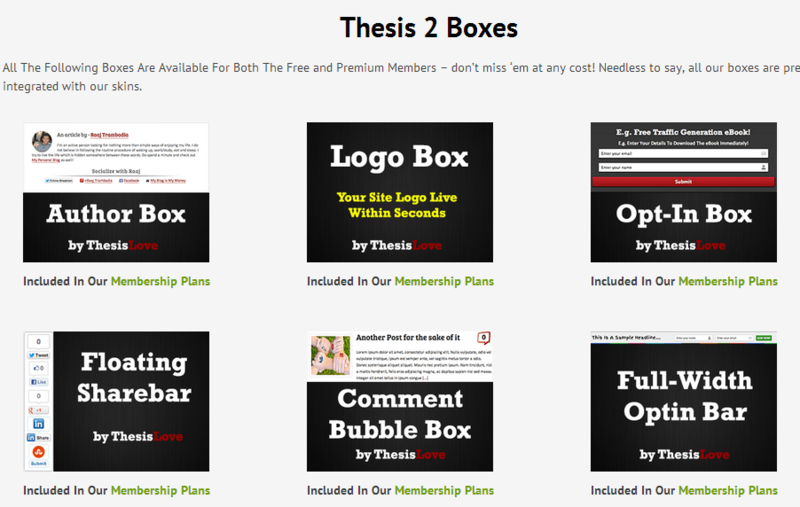 I am about to buy Thesis 2 for my new blog and I also came to know that Raaj has started this new Thesis venture. I would love to win the premium membership as I am not good in coding so Thesis 2 skins will help me in getting over that. Done all the steps. Hope I’ll win this giveaway. Good luck to you for that, Buddy! The theme by ThesisLove is picture perfect and I would love to win this one.. I hope you do, friend. Good luck to you. Excellent give away, I love the contest submission process. Good luck to you for this. All the best to you for this membership. First time visited the site. While this is a great giveaway, I am waiting for you to announce one, Abhi. I so so want to buy the Music news theme which you reviewed recently for my blog. I have been in love with it ever since. Just waiting for the blog to start generating money. Haven’t monetized it yet. I am not sure if I will come up with the same product giveaway, Ambika. Sorry for that. Wow… it’s great but I was lost. Better luck next time.